This is a fairly bright outfit. My husband says I look like a lollipop lady in the skirt. I take it as a compliment. 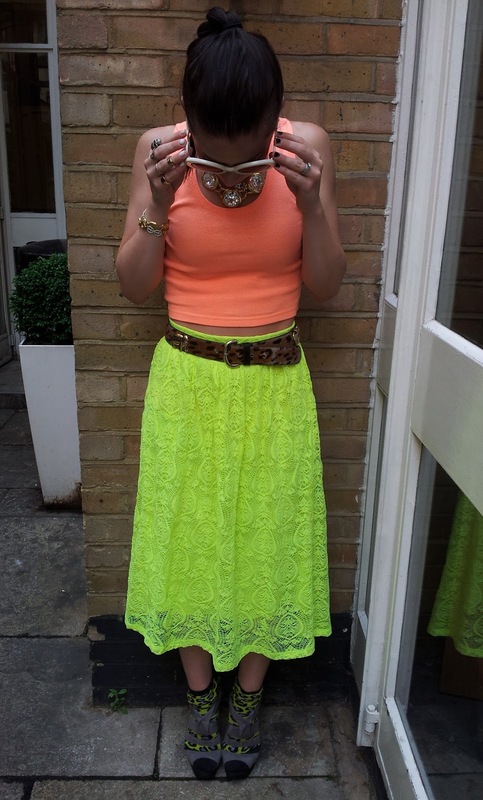 Neon lace skirt: ASOS. Neon cropped top: New Look (eek wore this top twice in one week woah.) Leopard and elephant belt: Vintage Furla. Neon leopard socks: Topshop. Grey suede heels: ASOS. Faux diamond necklace: Susan Caplan Vintage.